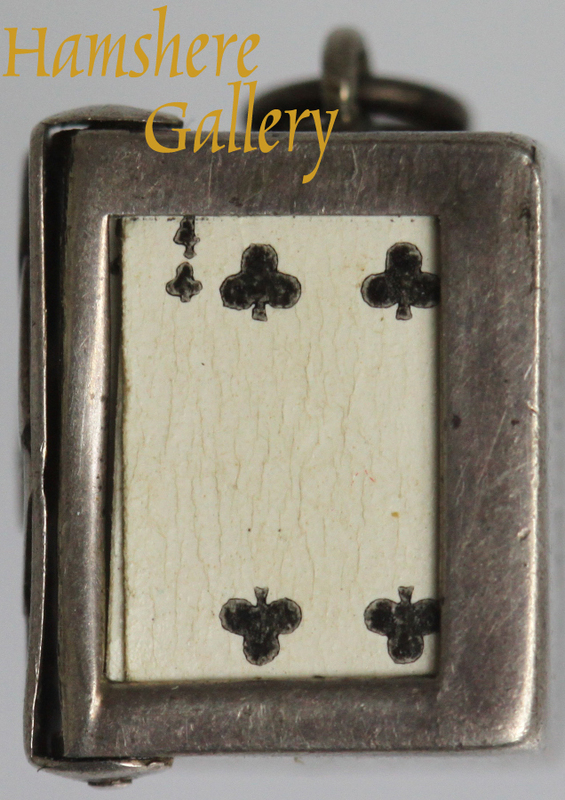 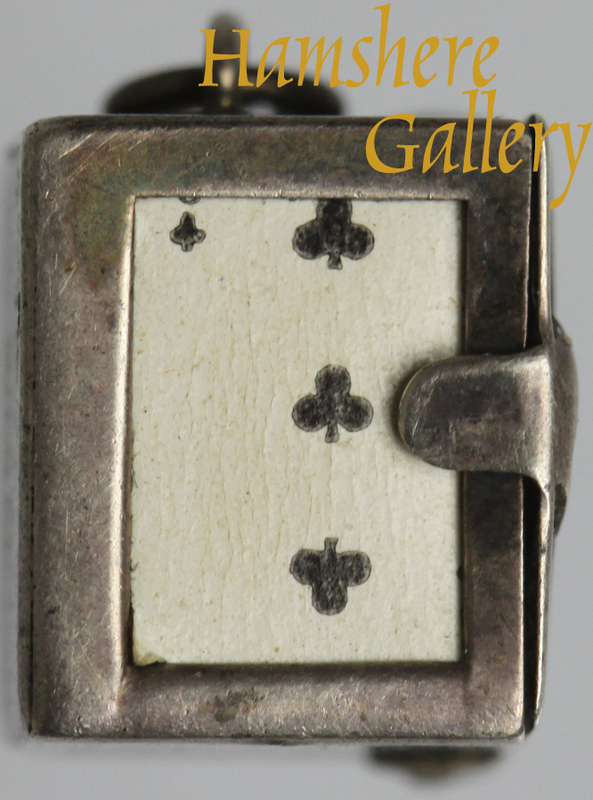 A miniature silver box shaped pendant containing a pack of playing cards. 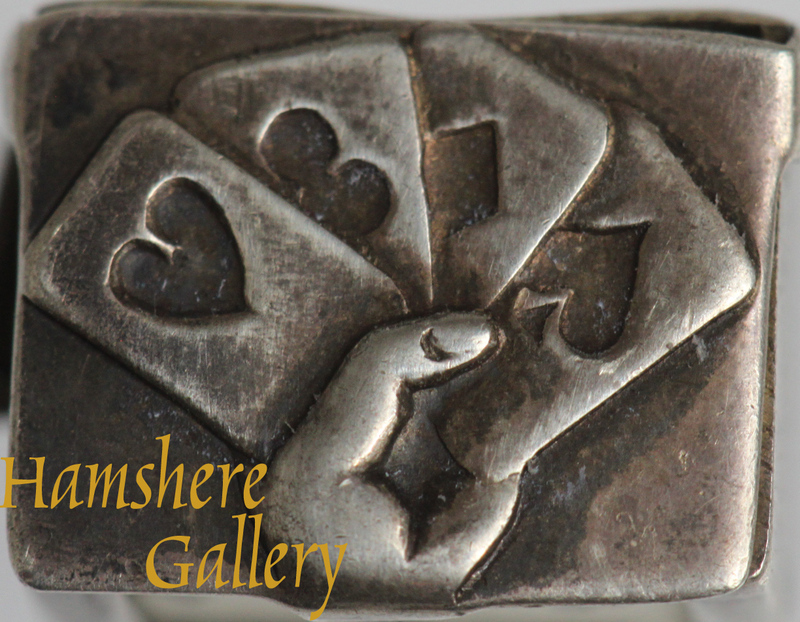 One side depicts hand holding a heart, club diamond and spade cards. 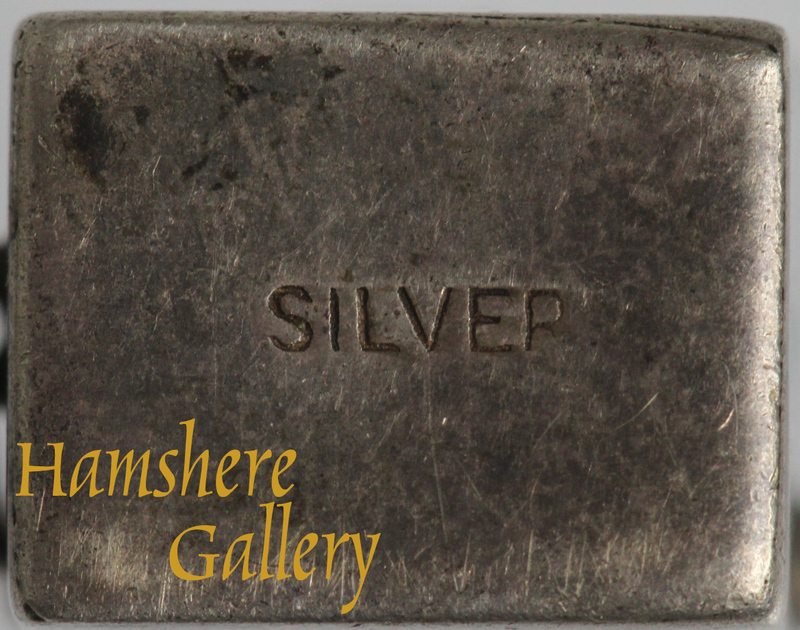 The other marked silver. 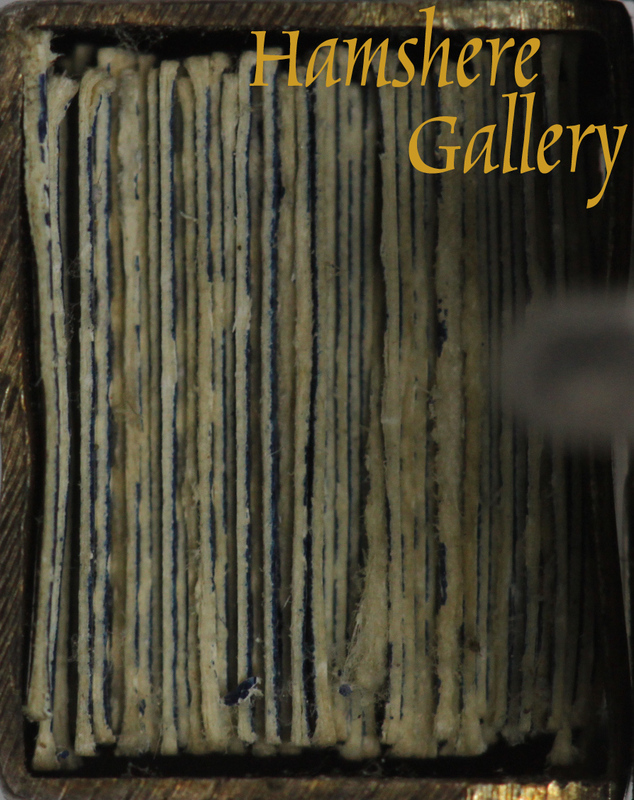 English, circa 1900.